Boostability is a large media and advertising group which was created in January 2009 with the high quality SEO services. The company not only provides proprietary technology and services but also delivers cost effective and scalable SEO solutions to the business companies in the market. We serve the media companies which need the effective solutions of top online search visibility. The management team of the company has 40+ years of Internet Marketing experience. With the technical and talented team, we have developed the assembled and integrated business solutions that revolutionize the industry for the progress of the clients business. Wife works here. Excellent company in both service and employment. I am several months into both my SEO and Social Media campaigns with Boostability and am very thrilled at the results. My keywords have shown amazing improvement, traffic to my website has nearly tripled, and business is going great. I highly recommend investing into one or more of Boostability's services to help grow your presence online. Lastly, I enjoy the fact that Boostability strives for continuous improvement in their service offerings, Ive had several conversations where my suggestions were taken into account and then realized. Great Company. Initially, the customer service was always available. They built the site (took longer than quoted, but the result was well worth it.) Turns out, however, that my 'contact us' page isn't working. This is a critical part of my page, so I have reached out to boostability several times to get it fixed. Turns out they switched out my manager rep out for another one (first manager was quick and responsive) but since the switch, I haven't been able to get the new rep on the phone / do any updates for over 2 months since my initial request. I pay monthly maintenance/hosting fees and I get it I might not be a big-box business, but that doesn't mean I should be ignored. I care about my business and want it to do well. It would be nice if boostability cared about my business for longer than it took to make a few dollars. 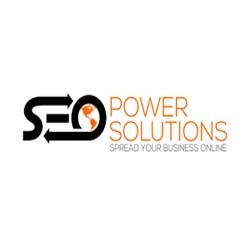 Boostability's SEO service is the most professional and effective for helping your business succeed, take it from someone who is currently running a campaign with them. Never have I seen an SEO service like Boostability which can consistently get your sites ranked to the top of Google, and sustain rankings despite Google algorithm updates. A huge thanks to my account manager Cody for the 5 star customer service! Boostability has been managing my SEO for a couple of years now, and I am extremly satisfied with their services! The campain managers are so so helpful, and they actually TEACH you how YOU can manke changes to improve the performance of your website. I have learned so much from them and look forward to watching my site continue to climb in rankings. I highly recommend this company! So far out of all the SEO companies we have dealt with for our company website, these guys have been the best. We are performing well on the keywords we are targeting among many competitors, and that has helped us with other keywords that we aren't targeting. 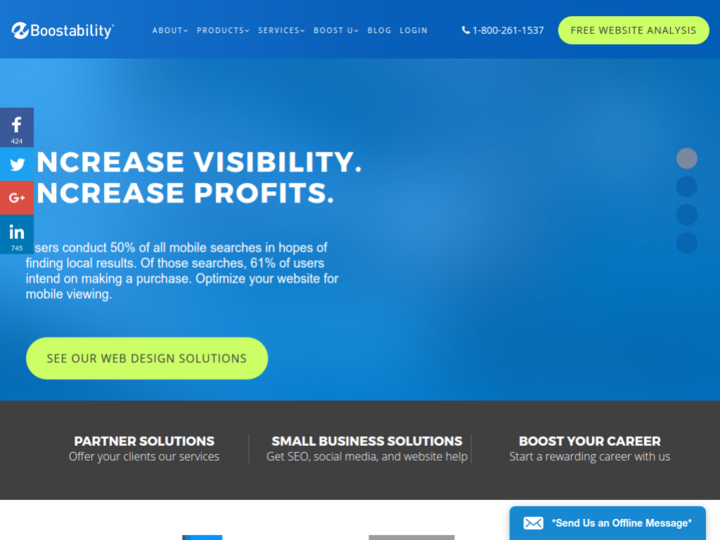 Highly recommend Boostability for their SEO work! I have been working with Boostability for 5 months and they have done a great job for my company. Sabrina my account representative has helped with moving our keyword rankings, some from as far back as 100+, to page 1 on search engines. My companies presence on web searches has impacted our business by helping potential customers find us. The people at Boostability have been very easy to work with and have exceeded all my expectations. Thank you Sabrina and I look forward to growing my business with your help.